Why Choose Saint Rose for a Master's Degree in Information Technology? 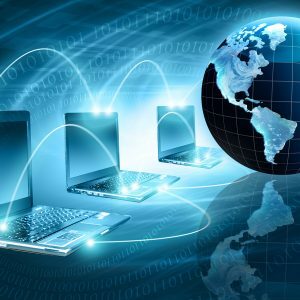 With a Masters in Information Technology, you’ll gain skills in technical communication and teamwork — which are in great demand among employers — as well as advanced knowledge of data structures, computer architecture, database management systems, data communications, user interface design, and software engineering. A deeper understanding of information systems can only enhance your career prospects. At Saint Rose, you are a person, not just a number. Our Information Technology program offers students small class sizes of typically 20 students — all held in computer labs—and one-on-one access to faculty. It is flexible for both traditional and nontraditional students, enabling candidates to earn a degree taking only evening and online classes. Great internship opportunities are obtainable. The program and courses are updated frequently to keep up with the myriad of changes in technology, including new course offerings in System Administration, Cloud Computing and Virtualization Technologies, Big Data, and Advanced Database. Multiple classes in Cybersecurity are also available. The Masters in Information Technology is a Professional Science Master’s (PSM) degree program that presents students with an applied education in advanced topics associated with computer science, computer engineering, and information systems. Our program is endorsed by the National Professional Science Masters Association (NPSMA). Students can enroll in this program on either a full-time or a part-time basis. The program is designed for students with some experience in computer technology and programming who wish to advance their technical skills and knowledge, and also to improve their communication and business skills. Saint Rose graduates are technically proficient in their field and capable of working successfully in government and business. The Software Engineering Capstone course simulates what it is like to be a Software Engineer in the real world. The certificate program is designed for students new to the field. This 15-credit program includes three required courses in object-oriented programming, database, and software engineering, as well as two electives. Students may want to consider this certificate as they pursue their MBA, further graduate study, or advancement in their chosen career. View Gainful Employment information related to this certificate program. Our new hybrid course delivery method combines the best of both worlds, online learning with the reassurance of face time with your professors. This degree is perfect for the working professional who wants to advance in their field but cannot commit to traditional graduate programs. The MS in Information Technology will be available in this format starting in Fall 2018.